man the Red Sox signed in the winter. 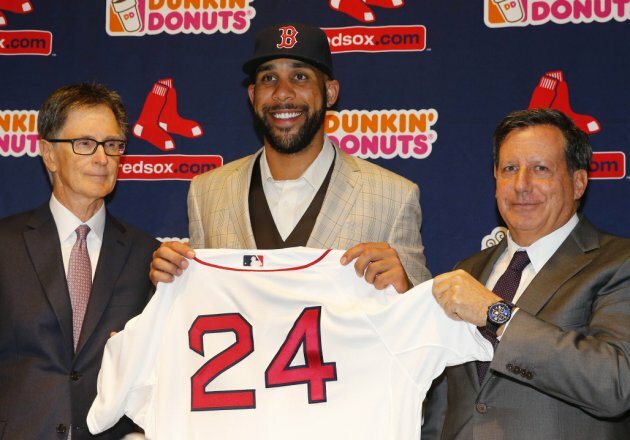 Red Sox Nation knows it hasn't quite seen the full potential of David Price, the pitcher who signed a seven-year, $217 million contract this offseason. Price is 6-1 following Wednesday night's win against Kansas City, but his ERA sits at 5.53 through nine starts. ESPN's David Schoenfield wrote an intriguing article about metrics that most can't explain in regards to Price and some other highly-touted - and highly-paid - free agents from this past winter. Basically, it says what we already know: Price hasn't pitched great, but he also hasn't pitched terribly. The article provides his strikeout rate (70 Ks in 55.1 IP) and that he's only allowed five home runs, but that 16.7 percent of balls hit in the air have an exit velocity of 105 MPH (the league average is around seven percent). Over his past two starts against Houston and Kansas City, Price has pitched 14 innings and given up three earned runs, struck out 17 and walked two. Prior to that, he had four of seven starts in which he gave up five runs or more and lasted six innings or less. 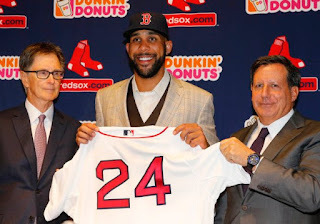 Given that he seems to have some confidence coming off the two recent starts, along with a new-found fix for a flaw in his mechanics, its reasonable to think the David Price who was signed in the offseason is the one the Red Sox are starting to see. In comparison, Zack Greinke is 4-3 with a 5.06 ERA after signing for $206.5 million with the Diamondbacks. Another star pitcher who hasn't quite lived up to his billing in a new uniform. Greinke, according to the article however, is seeing numbers well above his previous season and career average. His K-rate was 19.4 percent on fastballs in 2015. It is just 12.6 in 2016. Batters are hitting and astounding .402 on his fastball this season, whereas that was cut in half (.201) in 2015. Price appears to have figured it out and is headed in the right direction. After all, he is 6-1 and hasn't pitched his best. If his best is yet to come, Boston is about to see some stellar outings from its ace.